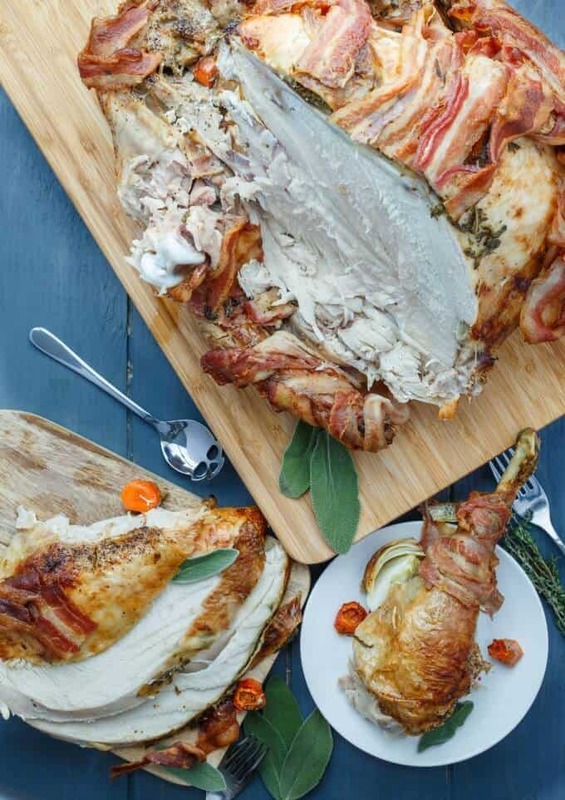 Christmas, Easter, or Thanksgiving: This bacon-wrapped whole turkey with herb butter will be the star of the table! The photos and recipe for this bacon-wrapped whole turkey with herb butter have been updated as of November 8th, 2016! The countdown begins for Christmas! And isn’t today the first day of winter? You would never guess it here in Canada as right now we have almost 10 degree Celsius weather and it is raining… Talk about a difference from last year! Yesterday we got to enjoy our Friends’ Christmas Dinner where all my husband’s high school (and college) friends get together and make delicious food and partake in a Yankee Swap. This was our first year being able to attend since other Christmas parties ALWAYS fall on the same day. I said to my husband that I do not care who does what, or what party is held on that day, we are going to this Christmas dinner. And what a blast it was! Aside from the delicious food, the Yankee Swap went extremely well (at least I thought it did since this was our first time ever participating.) Needless to say there were some hot items and a lot of backstabbing going on! In the end we ended up with one of our own gifts back and since I could easily make another (and the whole idea was to give and share,) we ended up trading our gift with someone who really, really wanted it. I am really pleased with how the Game of Thrones scarf came out (Winter is Coming!) but seeing as I have never read the books or watched the show, there was no need for that item here (sorry, Dan, one day I will finish that blanket! Plus, I can easily make the scarf again!) Guess I will stick with the homemade gift again next year! 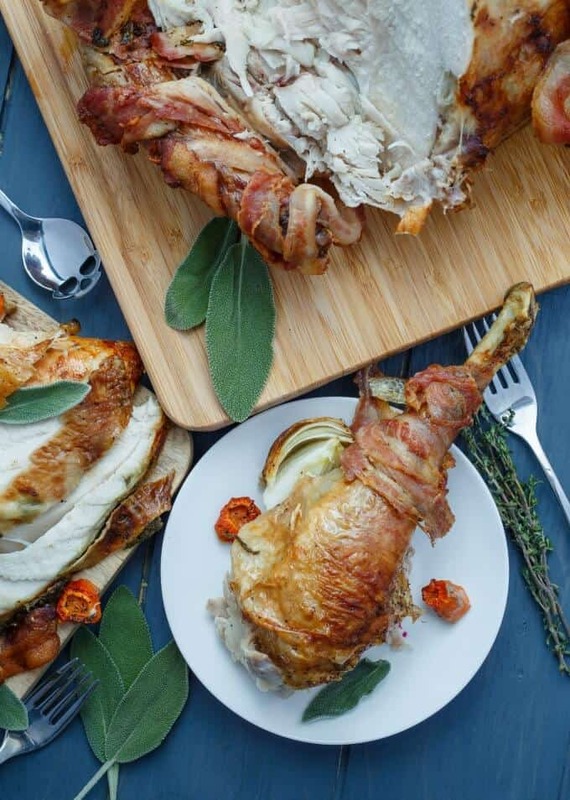 Bacon-wrapped anything is amazing, so enjoy this turkey during the holidays! To make the herb butter, combine the butter, sage, thyme, and garlic. Season with salt and pepper. Pat your turkey dry. Season with salt and pepper, along with your veggies and garlic. Stuff the cavity with as much of the veggies as you can. Add the rest of the veggies to the bottom of the pan and add the turkey on top. Pour broth into the bottom of a baking dish. Rub the herb butter all over the turkey until completely coated (making sure to get under the skin!!!). Reduce oven to 350F. and baste. Cook for 1 hour 30 minutes, basting every 30 minutes if necessary. 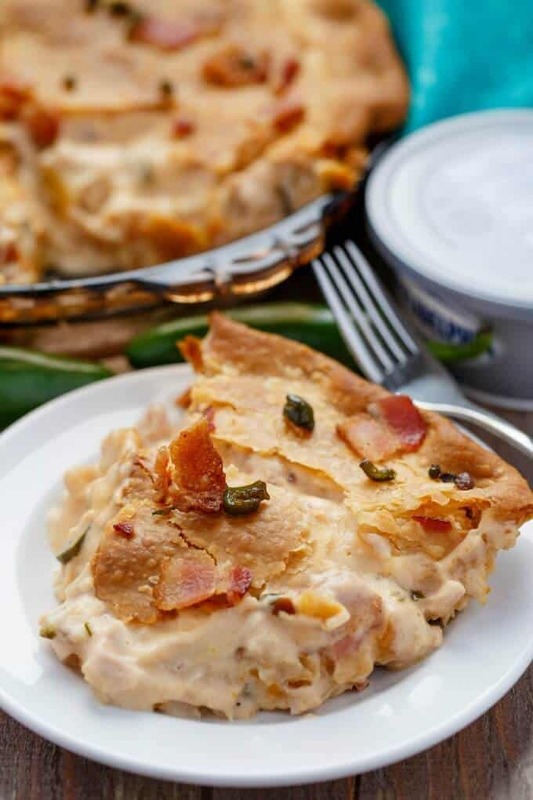 Remove from oven and drape with bacon slices. Cook for another 1 hour, basting every 20-30 minutes. The turkey is done when it reaches 160F. You may need more or less time depending on the size of your turkey! Remove turkey from pan and cover with aluminum foil: allowing to rest for 30 minutes or longer to get those juices moving! Slice and serve! Cook time may vary, but if you find you add your bacon too early and it is beginning to burn, just cover it in aluminum foil. BACON!!!! Gosh, is there anything that bacon *doesn't* enhance? This looks awesome! I know, right?! People even put it on their desserts! 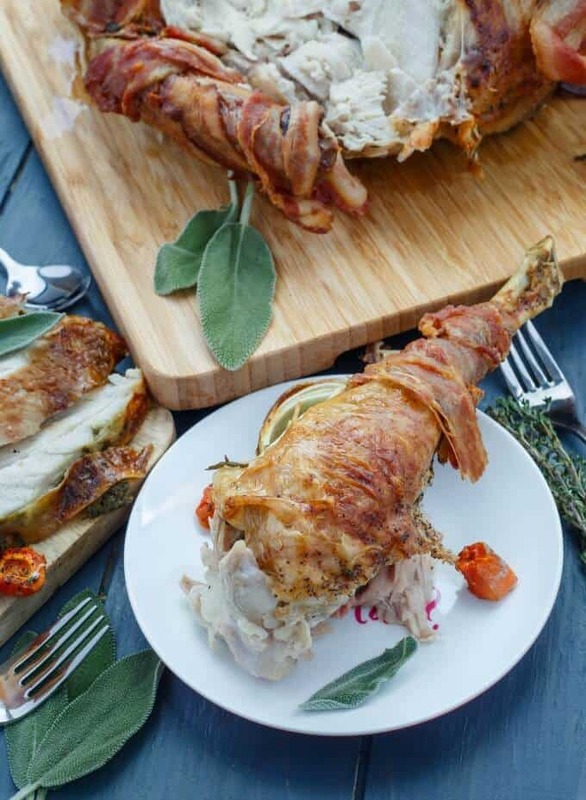 Bacon wrapped turkey is a wonderful idea! I need to try this next time I make turkey. Cute scarf BTW. You did a fabulous job with the turkey, and the scarf! I am SOLD! Normally I'm not a big turkey fan, but I'm sure a little bacon like how you've done could solve that and make it more flavorful! See, I am the opposite! Before I went vegetarian, turkey was one of the few meats I actually liked! I seriously want to cover everything in bacon. How I went 6-7ish years without meat I'll never know lol! Love this! I had to read your comment to my husband because he always teases me about being a vegetarian, lol. Bacon is one of those meats that is hard to resist! Oh my - this is awesome! I know a couple people at my house that would LOVE this! I can tell you right now I would LOVE that turkey and so would my whole family. We have a running joke here (except that it is not really a joke) that bacon makes everything taste better! We will definitely be trying it! Haha, I feel it does! Talk about having something that looks superb. That bacon wrapping the turkey is genius! I bet the turkey was moist and delicious!! Looks so good! Not to toot my own horn, but I received many compliments on how moist it was!